Even Nintendo's popular mascot laid a few bad eggs. For the most part, Nintendo takes great care of its mascot, Mario. The famous plumber has starred in well over 100 games across a variety of different platforms, much to the delight of fans that follow the character's every move. On the portable side, players have enjoyed such hits as Super Mario Land 2: 6 Golden Coins, New Super Mario Bros. and Mario & Luigi: Superstar Saga, classics that sit amongst the greatest video games of all time. That said, every video game character, no matter how popular, has skeletons in his or her closet, even Mario. With this in mind, we dare you to endure the worst portable Mario games of all time. 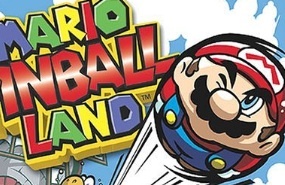 The concept of Mario transforming into a sphere was a bit weird, but acceptable compared to Mario Pinball Land constantly resetting boards whenever a player travels to a new stage, thus erasing previously completed progress. Beyond that, figuring out how to collect all of the stars is a real pain, while poor table designs made the game quite disappointing. At least it looks nice. 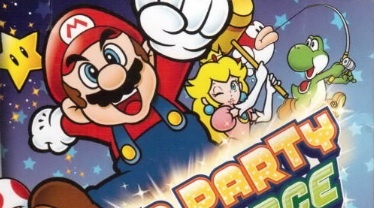 Despite including over 100 mini-games in this GBA effort, Mario Party Advance falls flat, with bland visuals and the worst crime of all, horrible multiplayer support. Bottom line, no one in his or her right mind should want to do pass and play, where gamers take turns instead of competing at the same time. Video game basketball normally involves thrilling fast breaks, no look passes and thunderous dunks. 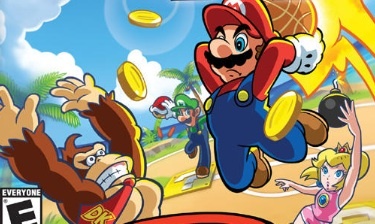 We say normally, because Mario Hoops 3 on 3 is not your average game of round ball. Nintendo opted for a slower paced effort powered by stylus controls. Learning how to shoot and steal is easy enough. Pulling these moves off successfully, however, is a whole other matter. The game just plods along as characters miss the easiest looking shots. Hard to get into this one. The concept of putting Mario and Sonic in a video game made us giddy, at least until we played it. Sadly, Mario & Sonic at the Olympic Games featured wonky touch screen controls, a lack of depth (too many events feel the same) and weird "blow into the microphone or clap" mechanics. 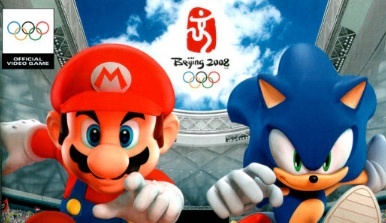 Perhaps Sega will get things right in the upcoming Mario & Sonic at the London 2012 Olympic Games for 3DS. After all, third time's the charm. 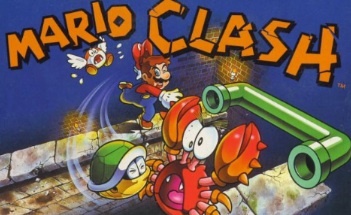 Virtual Boy owners in search of value received it with Mario Clash, which shipped with 99 levels of classic Mario Bros. style play with one notable exception: Mario can jump between two planes. On the downside, extreme difficulty, weak audio, the inability to save and little graphical variety torpedoed this title.